After a few conflicting schedules for previous events, we finally participated in Museum Ceria Family Weekend. The event this time is called Niewslezer, teaching the children about communication and journalism before the internet era. So it’s like showing Andrew what news was like when Mama was a little girl. We arrived at 9 AM for registration and the program started right away. As this is our first time participating at a Museum Ceria program, we didn't know we can start right away after given the mission. We thought there were a briefing or introduction from Museum Ceria. But watching other participants eagerly completing the mission, we decided we can start. 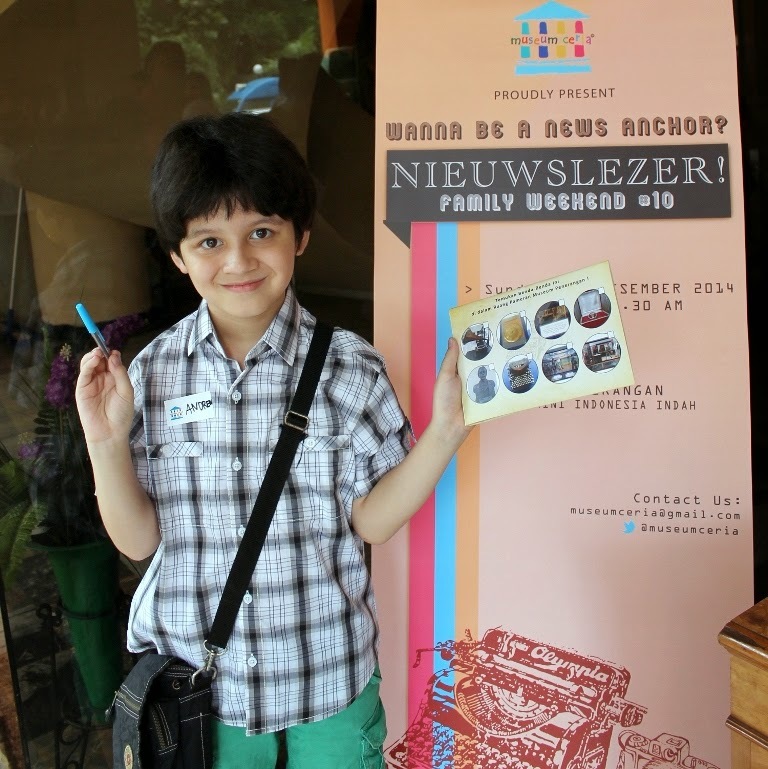 "Today, me and Mom went to Museum of Communication at Indonesia Miniature Park. When we arrived there, we line up to get out mission by the museum door. The mission is to find items spread out in the museum like Morse code machine, golden pen, old TV camera, famous people statues and others. We also have to read using the old Indonesian spelling, like my grandpa! The old spelling is like code! I also made a bookmark using magnet and reading a story..."
The story is a radio drama. Each kid got a role in a fable and they have to act out like they’re playing a drama. It’s a great way to introduce today’s children with how the parents enjoyed radio back in the days. Aside from displaying items from the old days of media and communication, there are also some history, pictured through diorama spread out in the museum. The smaller children got a storytelling, singing and dancing while going around the museum and seeing different artifacts. 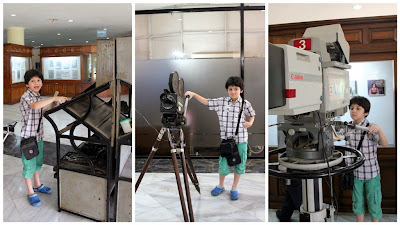 Andrew totally enjoyed the adventure – never been to Museum of Communication before. I found this fascinating too as I couldn't recall if I ever been to this museum. 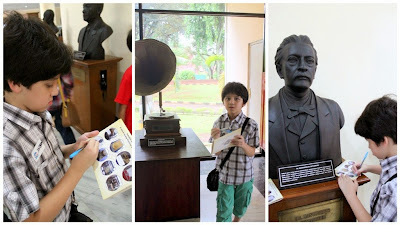 But, here in Indonesia, we often need a reason and an extra push to visit museum. And the Family Weekend Program gives us just that. Fee: Rp120k for kids and Rp20k for the accompanying parent, excluding TMII entrance fee. 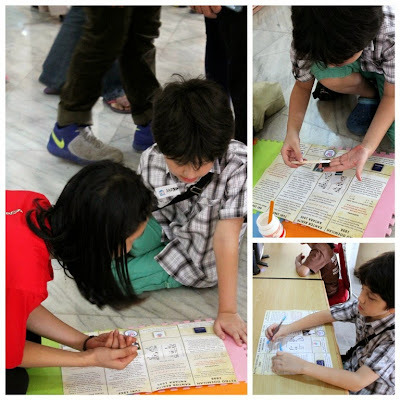 There’s also a fun storytelling program for younger children with different registration fee.